After cycling through quite a few Middle Eastern dishes of late, I decided to revisit some of the old recipes I made but never got around to properly document. 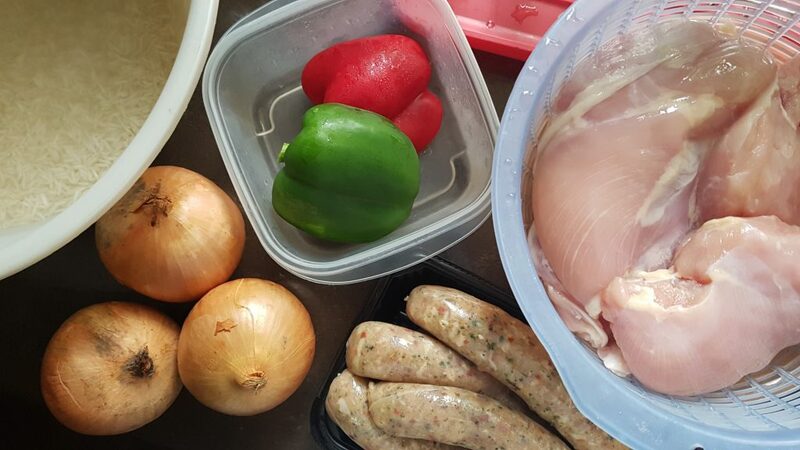 This jambalaya recipe based on the one by Emeril Lagasse was particularly nostalgic for me, because this was one of the first dishes I made when I started cooking at home about 6 or 7 years ago. There was a time when Kak’mbang going back to our hometown meant having takeout or delivery every day. This dish was my first home cooked dinner for my family, and it was the start of many many more thereafter. This dish is fairly foolproof and not difficult to make. 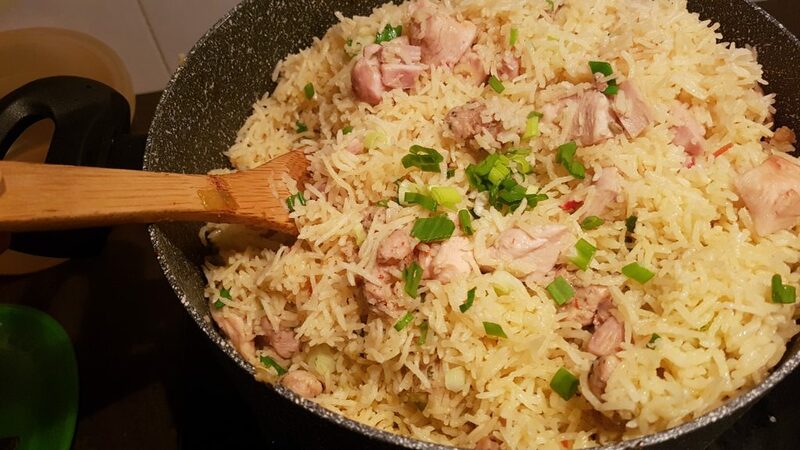 All you need is patience, because you’ll be spending around 40 to 45 minutes stirring the stuff in the pot almost non-stop. The result is a light, healthy one-pot meal, great for potlucks and gatherings. The ingredients aren’t anything too fancy either – I usually get my Italian sausages from B.I.G. lately, but I used to frequent Village Grocer and I think theirs actually taste better. Village Grocer also carries chicken Chorizo sausages as far as I know, and you can use that for a slightly spicier flavor. Unlike commercially packed, mass market sausages which are very firm (and cooked, I’m guessing), premium sausages like those at B.I.G. or Village Grocer or the ones by Victoria Crest are raw and therefore can be quite challenging to slice when thawed. I usually prefer to slice them when frozen to maintain their shape. Heat the oil in a large cast-iron Dutch oven over medium heat. If you’re planning on cooking the rice in a rice cooker, so just use the rice cooker pot instead. 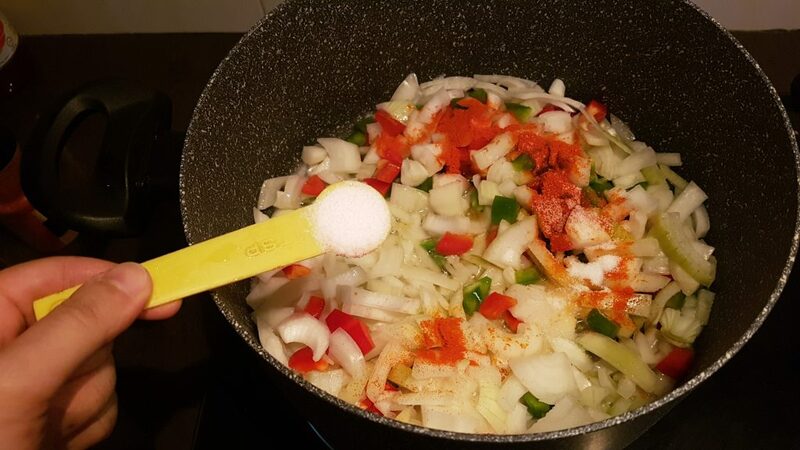 Add the onions, bell peppers, 2 teaspoons of the salt and 1 teaspoon of the cayenne. Stirring often, brown the vegetables for about 20 minutes, or until they are caramelized and dark brown in color. 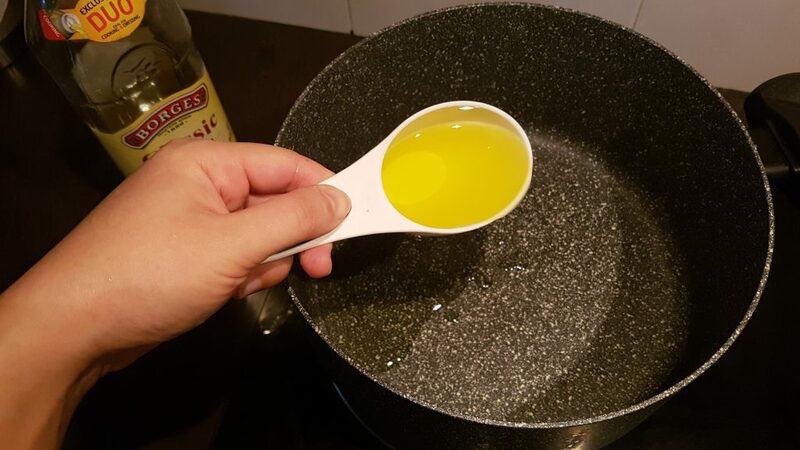 Scrape the bottom and sides of the pot to loosen any browned particles. 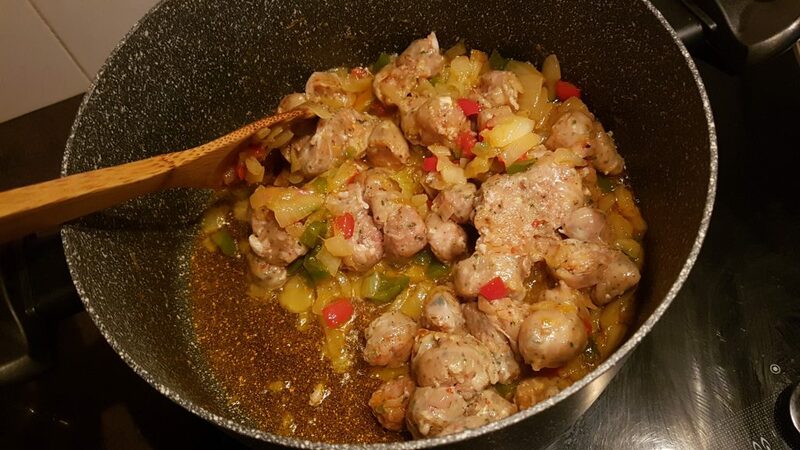 Add the sausage and cook, stirring often for 10 to 15 minutes, scrapingthe bottom and sides of the pot to loosen any browned particles. 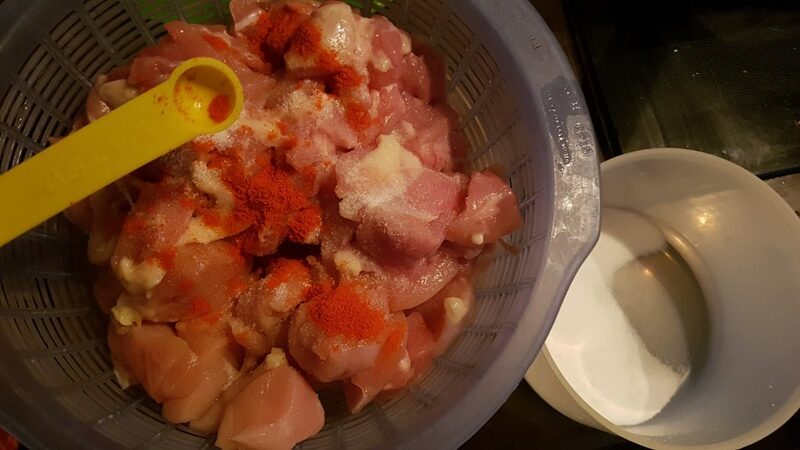 Season the chicken with the remaining 1 teaspoon salt and remaining 1/4 teaspoon cayenne. 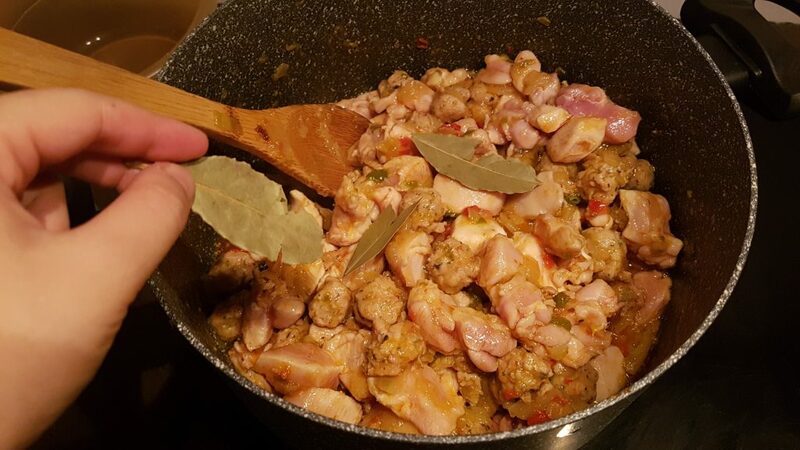 Add the chicken and the bay leaves to the pot. Brown the chicken for 8 to 10 minutes, scraping the bottom of the pot to loosen any browned particles. 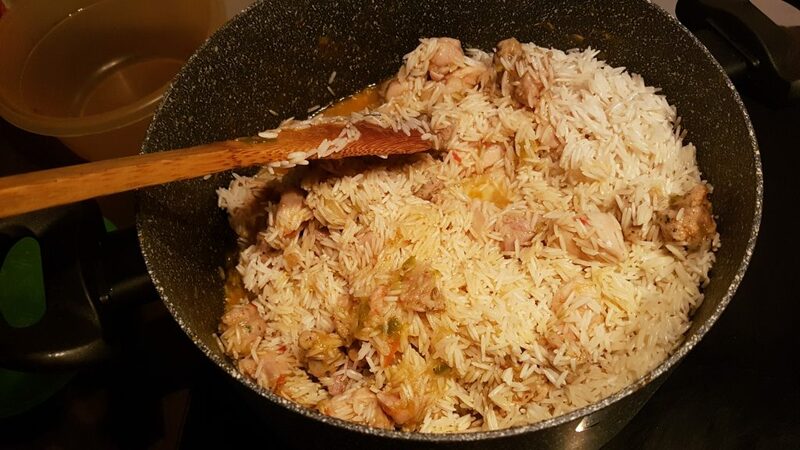 Add the rice and stir for 2 to 3 minutes to coat it evenly. Add the water, stir to combine, and cover. 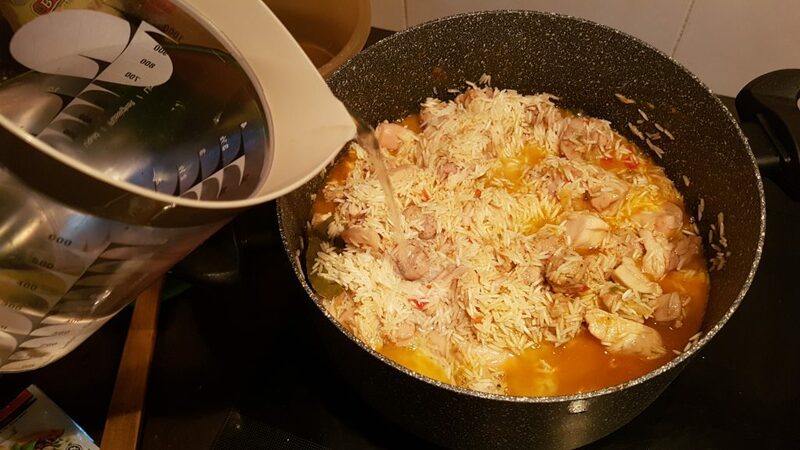 If using a rice cooker, transfer the pot from the stove to the rice cooker, and cook until done. 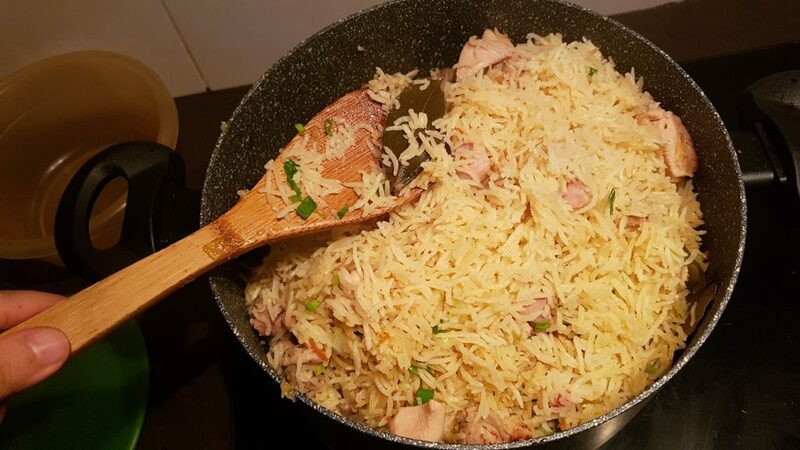 Otherwise, cook over medium heat for 30 to 35 minutes, without stirring, or until the rice is tender and the liquid has been absorbed. Remove the pot from the heat and let stand, covered for 2 to 3 minutes. Remove the bay leaves. Stir in the green onions and serve.